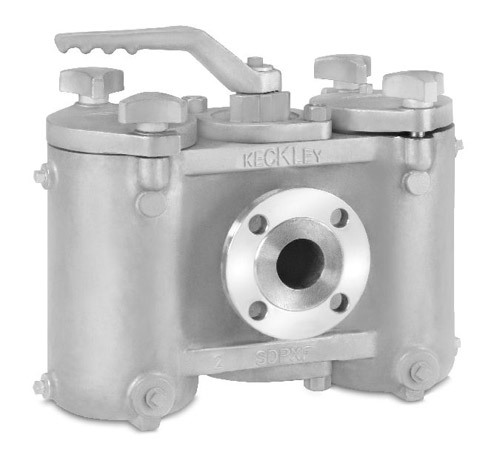 Keckley duplex continuous flow basket strainers are used in continuous flow applications where the process cannot be shut down for cleaning. 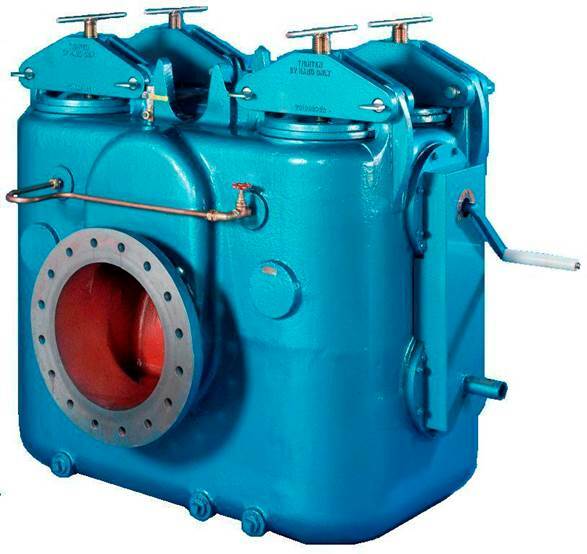 Some examples are lubrication systems, industrial or marine oil burners, chemical plants, cooling lines in power plants, compressors, condensers, ink supply lines to printing presses, and for water lines to cooling towers and pumping stations where water is taken from lakes or rivers. The primary benefit of a duplex basket strainer is to provide uninterrupted downtime for maintenance and cleaning. 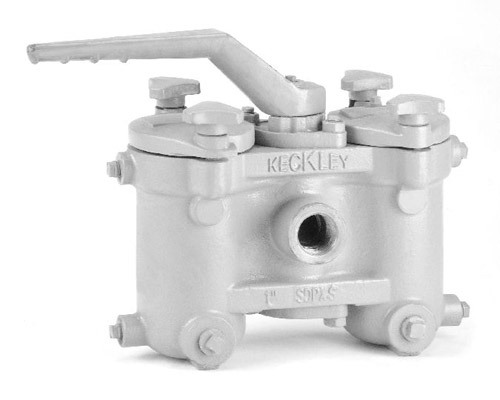 Keckley duplex basket strainers offer a compact housing and close face-to-face design for tight space requirements making them a perfect application for ship engine rooms. 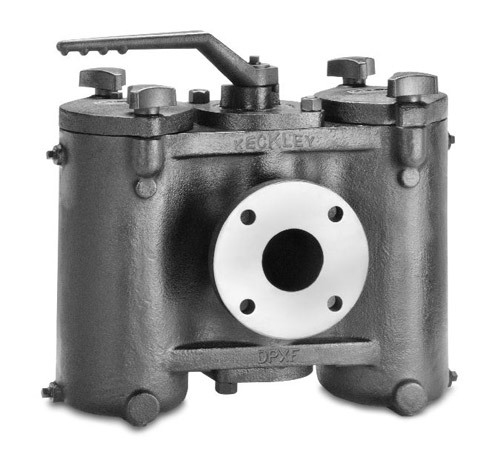 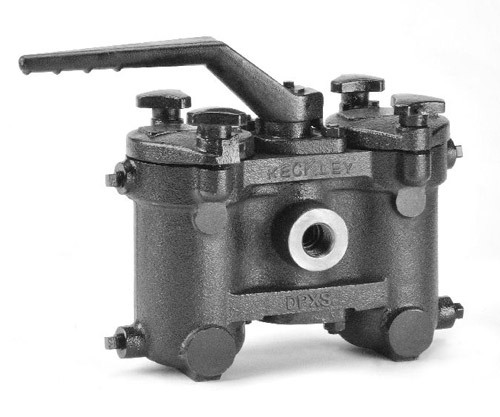 Keckley duplex basket strainers are offered in Ductile Iron, Bronze, Carbon Steel, and 316 Stainless Steel with an assortment of o-ring options to cover most media and temperature conditions. 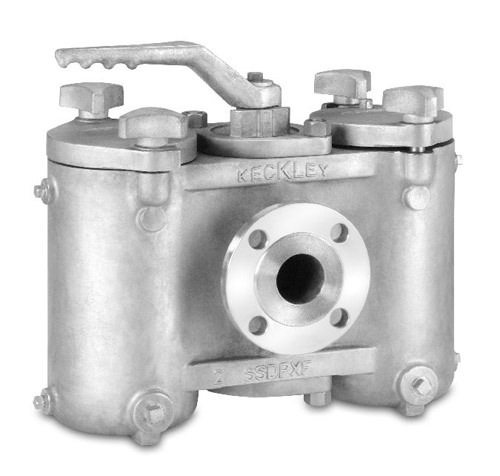 Keckley duplex basket strainers are supplied standard with differential pressure taps so gauges and/or electrical switches can be installed. 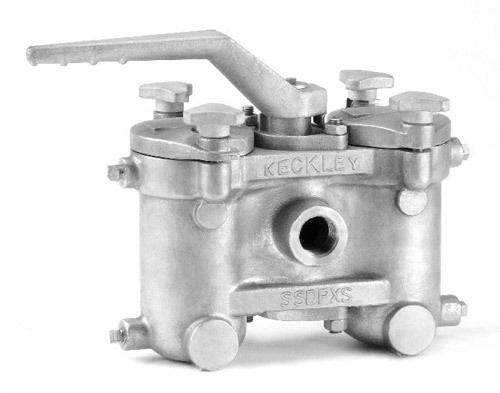 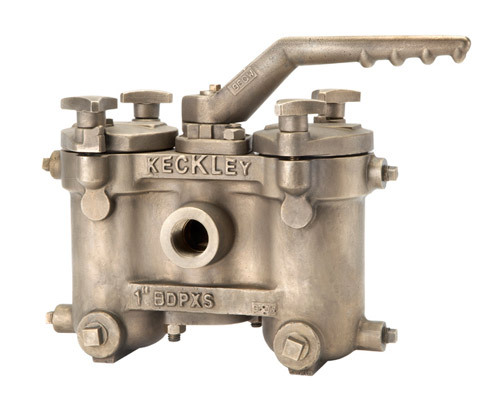 The Keckley differential pressure gauge assembly is designed to monitor basket conditions and provide visual warning when cleaning of the basket is required. Gauges with electrical switches can also be supplied for system alarms to warn when cleaning of the basket is required. 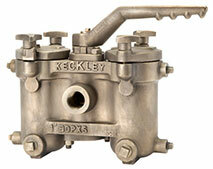 Contact Keckley at (800) 532-5539 for other body materials, pressure classes, and designs.